It is 7am. The nightclub is nearly empty as the evening draws to a close, but the traces and residue of a night remain. Spilt drinks, someone left their handbag on a seat and their hair-clips in the bathroom. Most of the glasses are now cleared— the lights are still on and the music still plays. 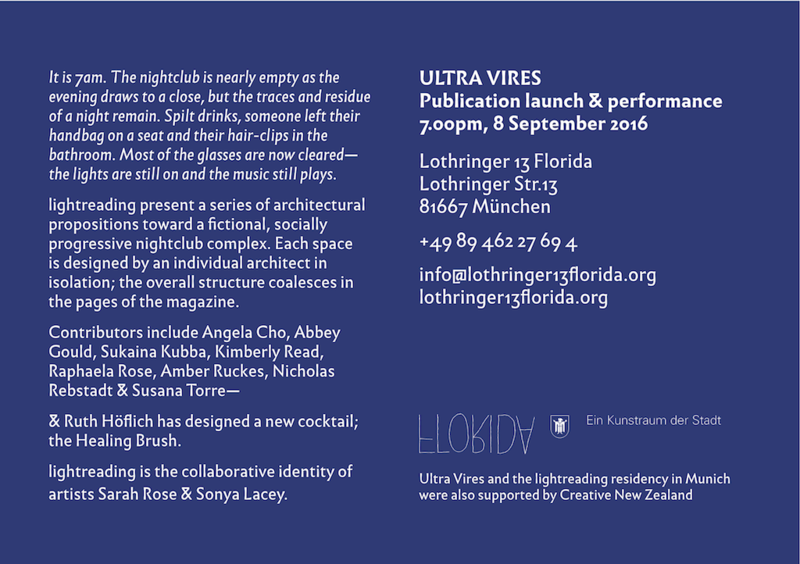 lightreading present a series of architectural propositions toward a fictional, socially progressive nightclub complex. Each space is designed by an individual architect in isolation; the overall structure coalesces in the pages of the magazine. & Ruth Höflich has designed a new cocktail; the Healing Brush. 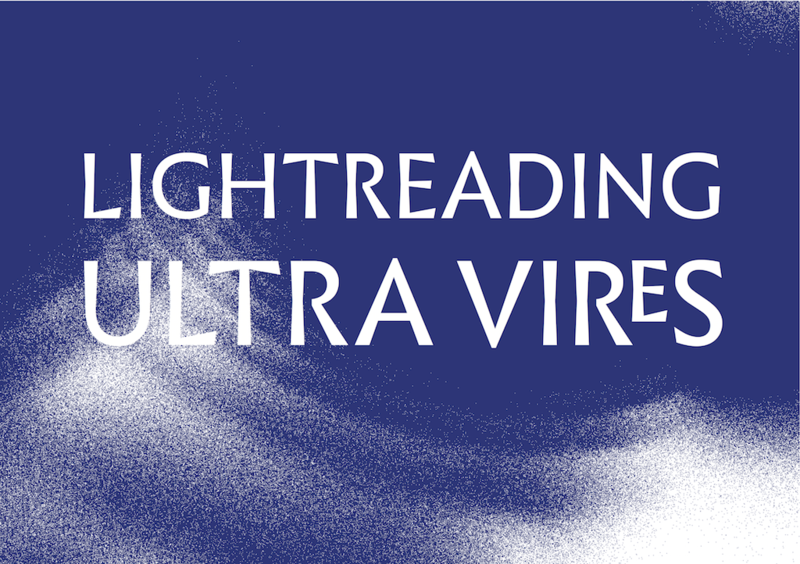 lightreading is the collaborative identity of artists Sarah Rose & Sonya Lacey.